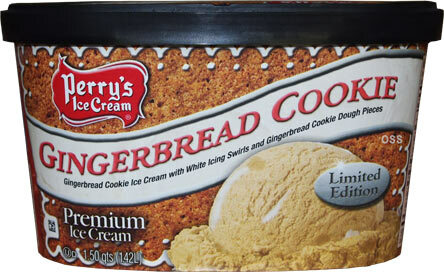 [New for Fall 2015] A few weeks ago, Perry's ice cream posted their newest flavor to social media: Gingerbread Cookie. Nick called dibs as soon as he saw it but I must admit, the icing swirl was calling my name as well. Thankfully we don't have to fight over it because Perry's was nice enough to send both of us samples. 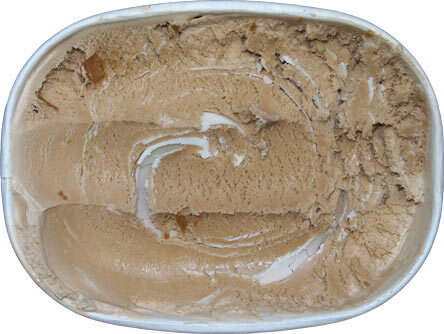 Enough of pumpkin, let's dig in to a rare gingerbread flavor! Come on, how can you not love that description? Gingerbread isn't even really my thing but this one just sounds like too much fun to resist. That's right #FUNFACTOR. There's a half dozen cookie dough bits sticking through, and if I get close, sure enough, I smell gingerbread. I scoop myself a bowl and it's funny how much it looks like a coffee flavor... or an espresso flavor with a foam swirl or something hehehehe. Ok, let's dig in. Nick's Thoughts: Taking off from where Dubba left off, this is a very gingery product. There's not a super bite here or any spiciness like you get with H-D Ginger Molasses Cookie though. The ginger flavor is strong though and a little too strong for me at times. Don't get me wrong, it's a tasty and unique base but you have to really enjoy ginger to truly appreciate it. The swirl tastes like icing. Sweet, sugary deliciousness to be more exact. It helps cut the base a bit which helps the flavor overall. 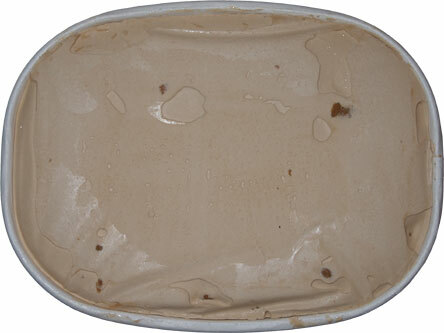 As for the gingerbread cookie dough pieces, their flavor is hard to detect in the ice cream. It makes sense seeing as they're both the same flavor but I wish there was some way to distinguish the base from the cookie dough other than just the texture. Which I might add is delectable. Dubba is not fond of me eating raw cookie dough but the texture is reminiscent of eat raw sugar cookie dough. Overall, this is a solid seasonal offering. I think I'd appreciate this one more when it's winter time though. It just doesn't feel right to be eating a gingerbread product in the beginning of October. Whatever the case, if you see this one and like gingerbread cookies, don't be afraid. This might end up having a cult following now that I think of it. If you've tried it, be sure to tell us your thoughts! Final Note: The gingersnap loving Mrs. Dubba has chimed in and even she thinks it's a bit heavy handed with the ginger.